(Newser) – At first glance, it looks like any other run-down brick building. Its windows are boarded up, it's covered in vines, and a barbed-wire fence warns against trespassing. "It looks lost and neglected," says retired librarian Jane Alcorn. But the building is actually the last lab of one of history's greatest inventors: Nikola Tesla. Alcorn's been trying to turn it into a Tesla museum for 18 years, but couldn't get the funds to buy it. That changed this month, NPR reports, all thanks to a web comic. Mitt Rummy and Lyin' Ryan wouldn't like Tesla, since he wanted to be good to everyone. I know you limit yourself to two paragraphs, BUT it would be nice to know the city and state !!!!!!. Yeah! I'd like be be there when they go in. That place will have some awesome stuff in it. Known as "The Father Of Modern Electricity", Tesla was a genius and is famous for inventing A/C, Alternating Current. Edison liked D/C, Direct Current and was not happy that Tesla won. 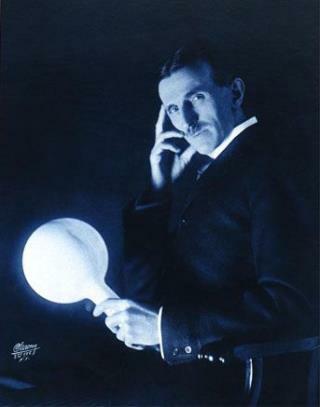 Tesla's greatest project was a system where electricity could be converted into radio waves and broadcast around the world. These waves could then be picked up and converted back into electricity. He wanted to provide the entire world with free electricity. Edison and his fellow investors, really didn't like that. When he died federal agents came to his lab and confiscated all of his papers. It's not public knowledge what happened to those papers. Maybe we should all write and request the release of those papers under the Freedom of Information Act.